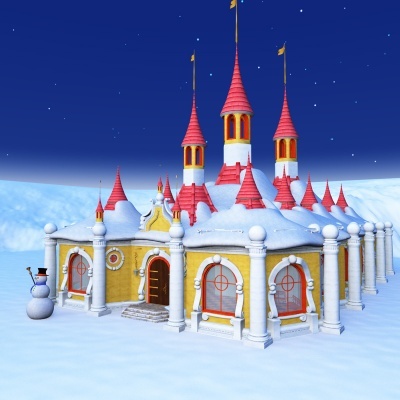 This is the little schoolhouse for young elves in North Pole Village. Pass by a snowman at the entry to the student center, then down the hall to classrooms for very young elves as well as secondary school elves, complete with chalkboards and desks. 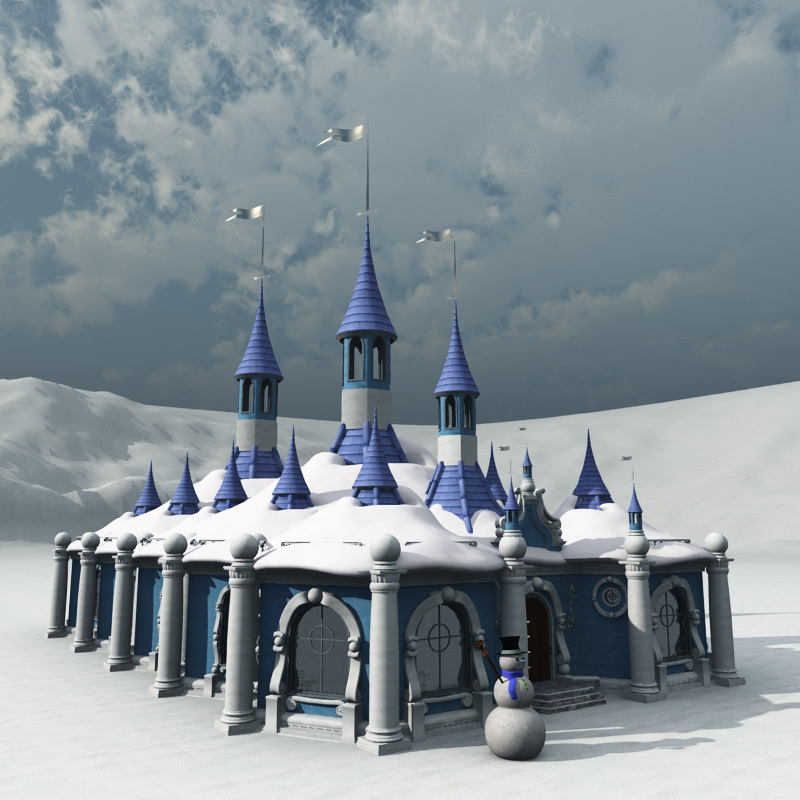 This version also includes a version of the Ice Mountain Texture Set. 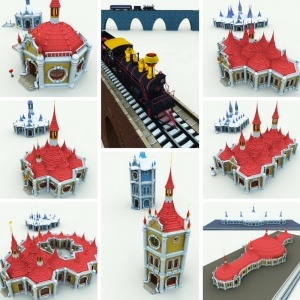 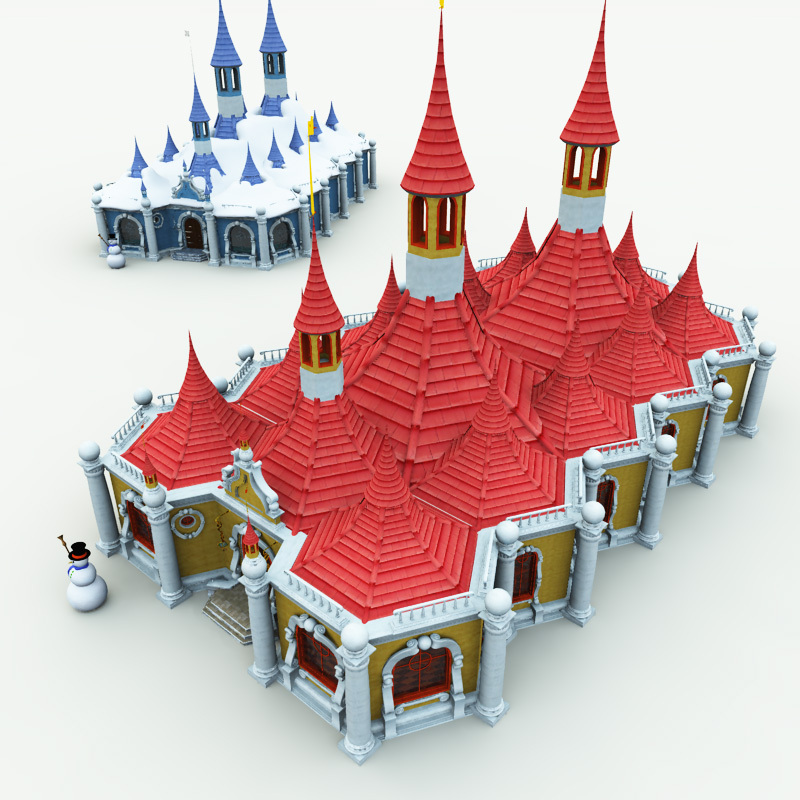 Christmas Village 08 is a set of eight beautiful 3D Christmas holiday models from Meshbox Design. 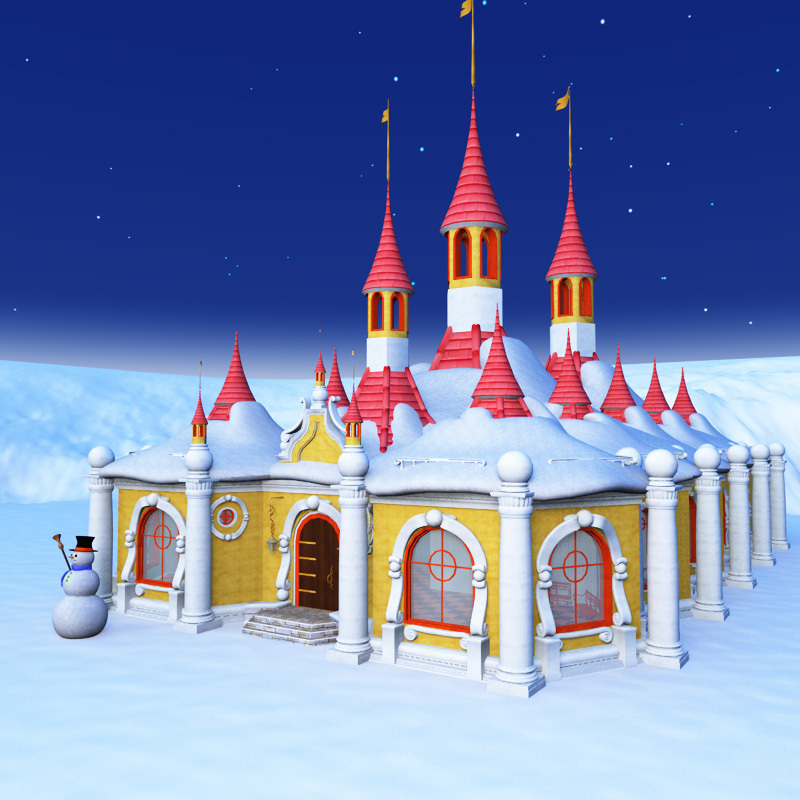 The Christmas Village series is an annual release product event, beginning in 2006, adding additional models to the growing North Pole village of Toon Santa. Create new, original North Pole village scenes in 3D. 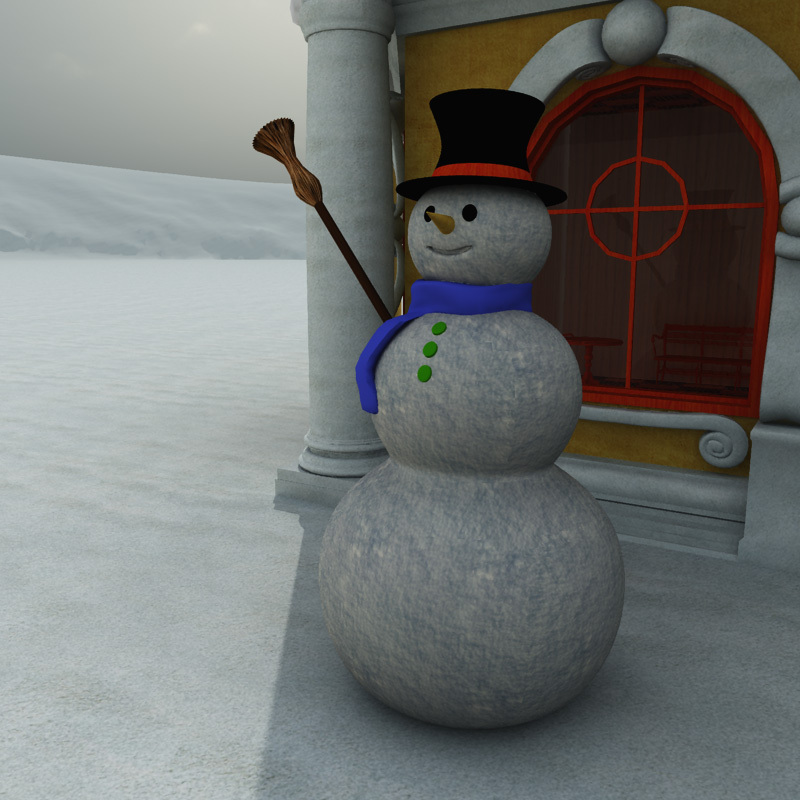 chalk board, broom, chair, desk, hat, light, scarf, snow, snowman, bench, table (2), complete building, empty building. 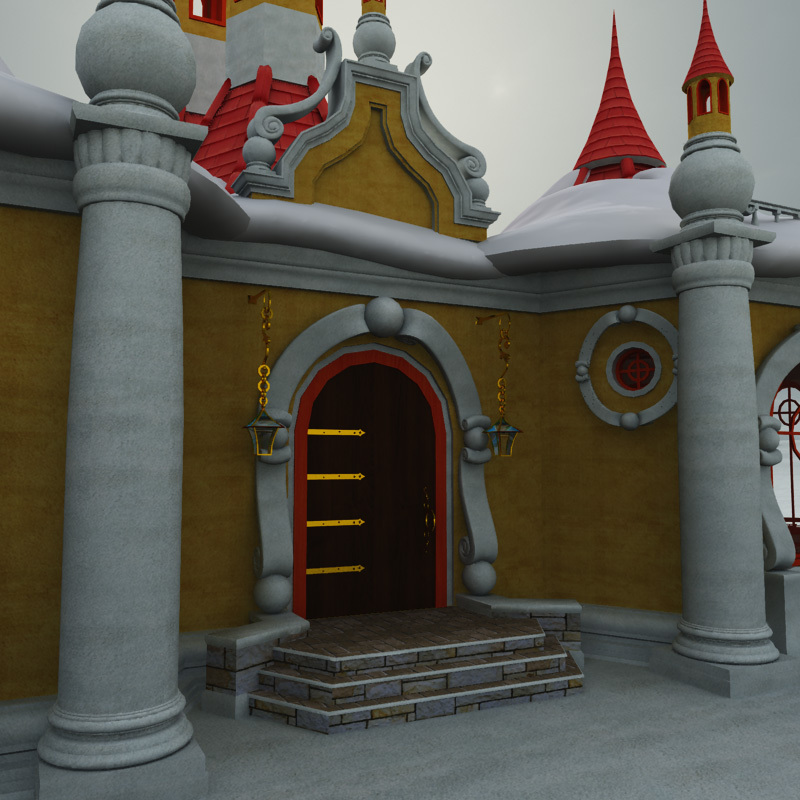 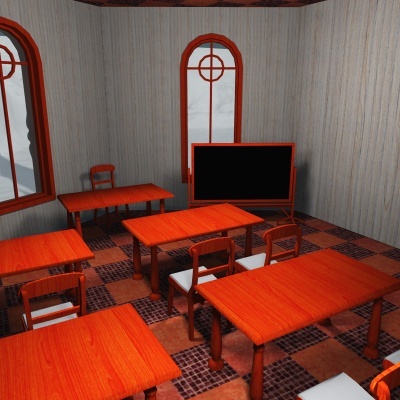 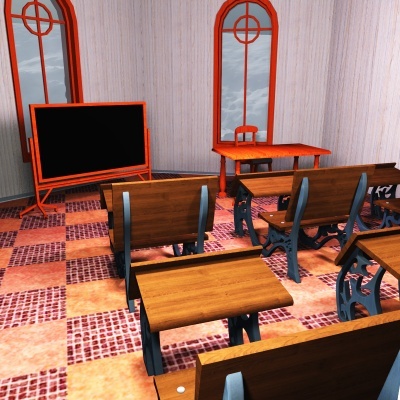 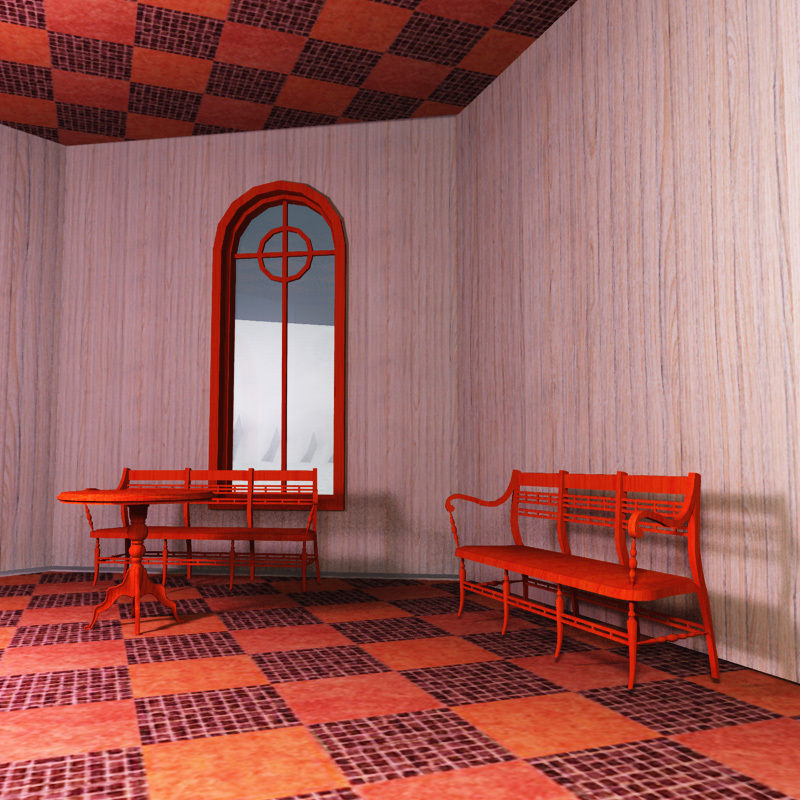 This version has an organized runtime, with separate props (pp2), character based models (cr2) and separate OBJ versions of the building.